Last Thursday, diplomats announced a framework for the planned nuclear agreement with Iran. Since a final deal doesn’t need to be approved until the end of June, everyone has begun quibbling over the details — and how they will be agreed upon with all this free time. Here’s a brief roundup of all the different ways the deal has been spun in the last few days, which are a preview of what this debate is going to look like once Congress comes back to the Capitol next week. Speaking of “obviously here in the United States Congress,” a lot of legislators are going to be talking nonstop about how they want to have a chance to look at the Iran deal in the upcoming weeks. The “Me Too” caucus is growing — Chuck Schumer said earlier this week that he “strongly believe[s] Congress should have the right to disapprove any agreement.” Senator Bob Corker, chair of the Foreign Relations Committee and one of the few people who didn’t sign the Iran letter, is sponsoring legislation that would give Congress a chance to debate the deal. The White House doesn’t like the bill too much, seeing as it might muck up the timeline for approving a final agreement. Governor Scott Walker is one of the many people saying that a diplomatic agreement isn’t forever. Rick Perry said he’d do the same thing if he were president. “It would be a foolish approach to take, and, you know, perhaps Mr. Walker, after he’s taken some time to bone up on foreign policy, will feel the same way,” Obama told NPR this week. Senator Rand Paul said that he also supports Corker’s bill in his presidential campaign announcement. Earlier this week, a new ad from the Foundation for a Secure & Prosperous America debuted slamming Rand Paul’s position on Iran and — gasp — saying that the senator sided with Obama, an idea Paul probably wants to disappear as quickly as possible. A new Reuters poll shows that only 31 percent of Republicans approve of the deal. Most Democrats have signaled support for the deal, although a few would like a chance to talk about it beforehand à la Schumer. Hillary Clinton and senators Elizabeth Warren and Bernie Sanders all gave the framework a thumbs-up. Many prominent Iranians have supported the deal, including Mohammad Ali Jafari, commander of the Revolutionary Guards. Iranian students planned a protest of the deal in front of the Parliament building, but not too many people showed up. Many people are starting to ask long-term questions about what this deal could mean. What will happen to the oil market? Will Iranians become more hip to the internet? Will American cars and fast-food chains flood the country? What would it mean for politics in Iran? Who will pay for the Iran deal? What happens if a deal doesn’t happen? What would a deal “really mean“? Plenty of government officials have begun speaking about the Iran deal publicly, including CIA Director John Brennan. 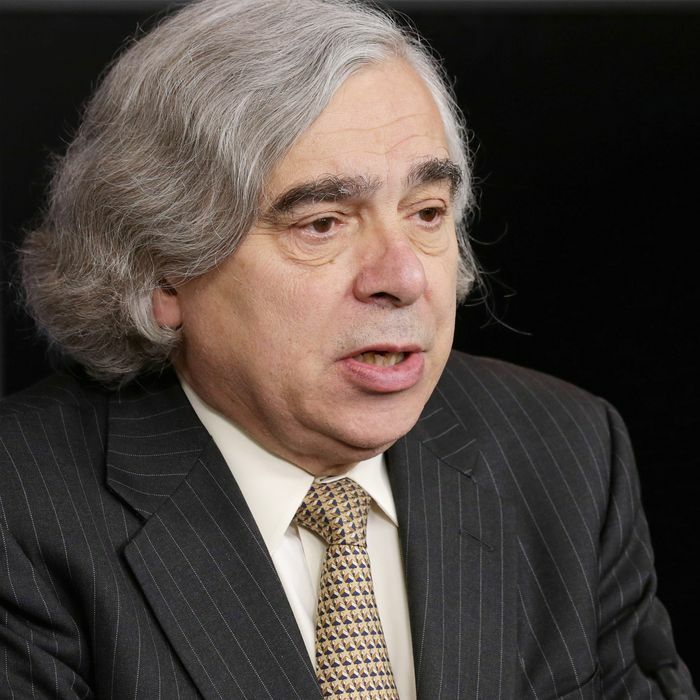 During an event at Harvard University yesterday, he said, “I must tell you, the individuals who say this deal provides a pathway for Iran to a bomb are being wholly disingenuous, in my view, if they know the facts, understand what’s required for a [nuclear] program.” Moniz has been talking to many lawmakers about the deal, trying to explain the specifics before they have to debate it next week. Israeli Prime Minister Benjamin Netanyahu is, unsurprisingly, against the deal right now. He went on three Sunday shows to talk about it, and what would need to change for him to support an agreement. Since the just-announced deal is only a framework, there are obviously still many unresolved bits of the final nuclear agreement. Many people — academics and politicians and government officials — are eager to learn more of these details.